It’s officially fall!! That means it’s time to not only change up our wardrobes but our makeup as well. This leads me to my first, official, fall makeup tutorial. 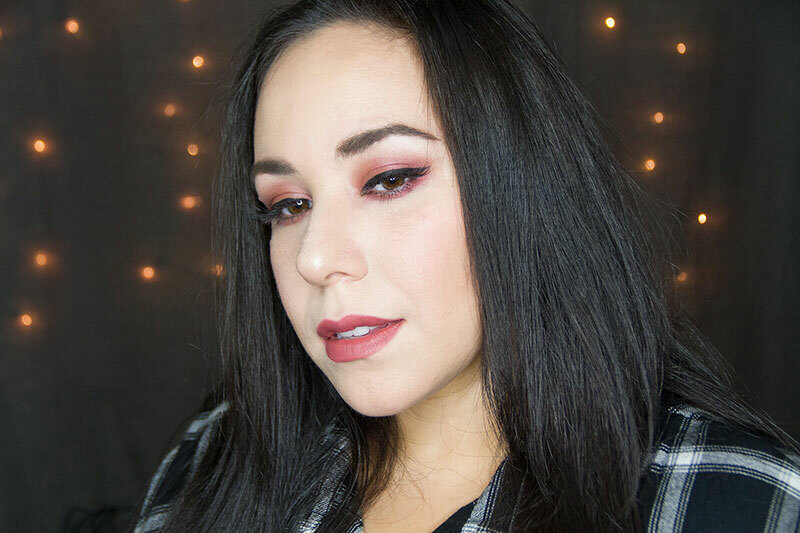 You might have seen this 90’s inspired fall makeup look I posted on instagram last week where I used a cranberry shadow on the eye, and Kat Von D’s studded kiss lipstick in cathedral on the lips. Every time I wear that lipstick I get a 90’s vibe so I thought it would be perfect for a 90’s inspired makeup look! I added a bold black liner to modernize the look… since we don’t want the look to be dated. Watch the video below to see how to get the look!